AAEA Hollywood: Randy Jackson Fights Oreo Stereotype? If you're black and you're called an Oreo it means you are an Uncle Tom. You are basically being told that you are black on the outside but white on the inside. In other words, you have black skin but you act white. 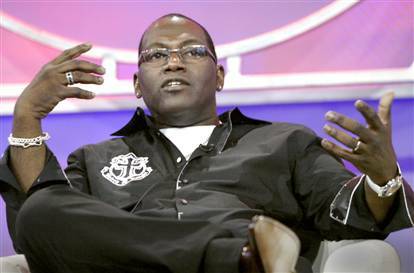 Well Randy Jackson of "American Idol" fame is having none of it. Jackson is the new advertising pitchman for Oreo cookies. He is pictured on their cookie wrapper and is pitching in the funny television commercials. It is clearly a very big campaign. One scene is really visually funny: he is sitting in a bathtub where the suds make it look like he is sitting in milk. Various bands, including singer Pharrel Williams, break in while he is bathing, evidently to impress him because of his "American Idol" credential. Simon and Paula couldn't be far behind. Simon already producing another television talent show. Paula will probably show her hand next.